Here is the Emic 2 text-to-speech module, along with the Winsen mq-4 gas sensor! In this example, the gas sensor triggers the Emic 2 to create a voice alert that butane, propane, methane or other natural gas byproducts are in the air. The sensor also detects difluoroethane – compressed air, and also other combustible gases. 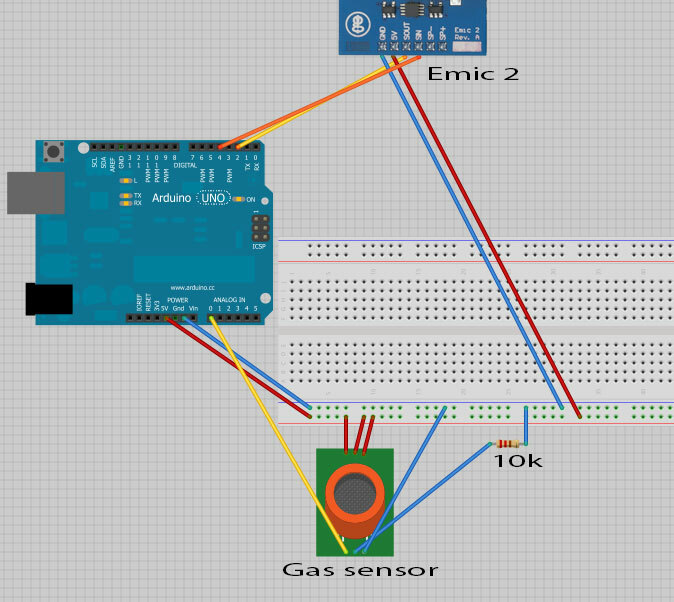 The gas sensor detects the gas via the Arduino, then triggers the Emic 2 to issue a voice alert when the gas ppm value crosses a designated threshold. 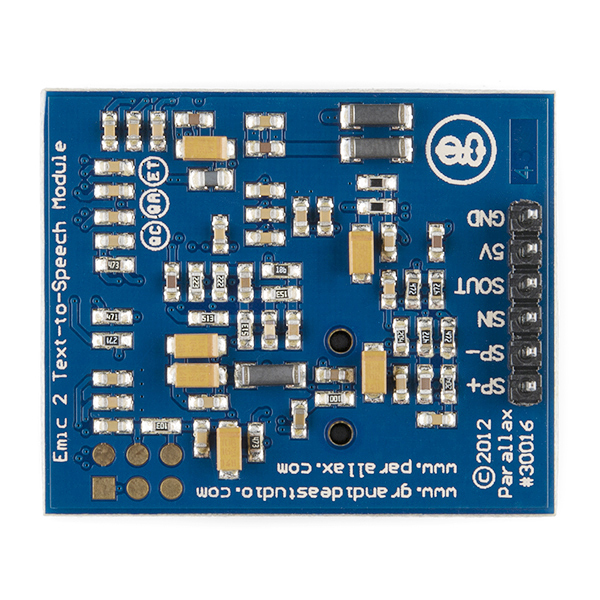 The Emic 2 module also has many customization parameters for the voice styles. The text to speech module will inspire some great ideas for projects, I think! So will the gas sensor. A combination of the various gas sensors would make for a perfect home safety device. I found that a small alligator clip across the 5v pins works great to quickly connect all three. A very useful tool for those of us who live in the “petroleum belt”. My husband purchased a very expensive air monitoring system for Fort Laramie National Historic Site (2/10ths of a mile from a rail/petroleum loading facility that burns toxic waste), and has been disappointed. It seems to never function properly, and requires a tech from very far away to come and constantly fix its “isms”. Will you be marketing these? If so, national parks might be a good venue for you. That’s a good idea, thanks, Natalie. With more work and features it could prove to be useful!